They boil in the hot bath until they are carried out unconscious, while others can not wait for them to come to the table, not even put on their clothes, but still prone naked and wheezing huge drinking vessels, as if they wanted to show their strength and pour all the content into it, so that everything comes up again immediately and then they take again a deep draft. So they do it a second and third time, as if they were born only to waste wine, and as if one could not throw away the wet otherwise than by the detour through the human body. It was his declared intention to create an encyclopedic work. When choosing his sources, he considered "only the best authors". He went up to the Carthaginians Mago (2nd century BC) back. His main sources, however, were Greeks, as well as the oft-cited Roman author Varro (116-27 BC). Plinius was doing according to a principle that is still common in the literature. He collected the published information and edited it based on his own experience. Untrusted or unreliable sources have been put into perspective with remarks like "in Greece it means", "how travelers tell" or "how to say". The work appeared in ever new editions until the Middle Ages. Today, it is especially interesting from a historical point of view. His description of a special vintage with the words "you will not read sooner than frozen" suggests a deliberate and not just random production of Eiswein out. 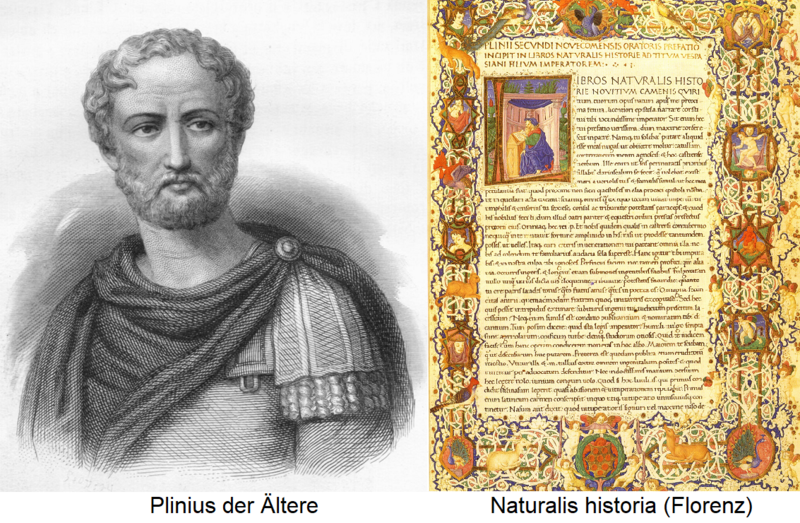 Pliny mentions a total of 91 grape varieties, as the most important he calls Aminea, such as apiana. Biturica (also Balisca or Cocolubis, from Spain), Capna (see Prunesta ) and Nomentana, He comes to the interesting conclusion that above all the area and the soil determine the quality of the wine. Pliny already mentioned the technique of Schwefelns and gave the (fatal) advice, acid vintages lead to sweeten. He described wooden barrels as unknown to his contemporaries wine vessels, And he was also theoretically engaged in the distillation (Production of wine spirit). Parts of his works are in the famous agricultural collection Geoponika contain. This page was last modified at 15 March 2019 at 15:04.